What Polish names mean and why they're so darn hard to pronounce. Polish names, just like the rest of the Polish language, aren’t always easy to pronounce. To add insult to injury, mispronouncing your Polish friend’s name can be preeeeetty embarrassing. And these are just the first or given names. When we start to look at Polish last names, the difficulty goes up a level. But look beyond the pronunciation difficulties of some Polish names. You’ll see that each name has not only a meaning but perhaps even a bit of a story to it. Like most things in the country, the Polish pronunciation of names is steep in history. Some of the most common Polish last names reflect the county’s Slavic and Catholic roots. Some are even ‘borrowed’ from their German neighbours. Just by asking ‘what does that name mean?’, one can uncover another facet of Polish life, history, and culture. So let’s take a look at some traditional and modern Polish names to see what they mean and where they come from. Poland is a Slavic country and thus Slavic in culture. As a result, Polish is a Slavic language. It’s a culture shared with a lot of other Eastern European countries, so a lot of names are similar. 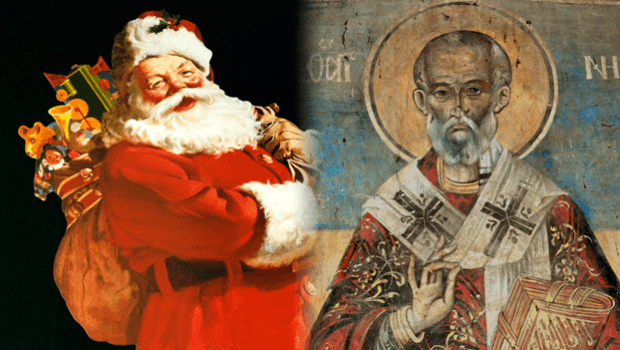 Many Slavic names were dithematic – that’s a fancy way of saying they had two parts. 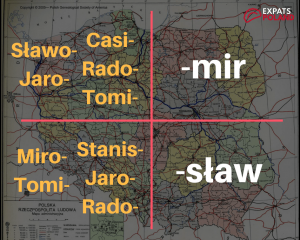 A more common last part (-mir, -sław) and a somewhat interchangeable first part (Sławo, Jaro, Casi –mir and Stanis, Jaro, Rado, –sław). Let’s look at the Polish male name, Mikołaj. Other variations of this name include Mik and Mikołajek. In Slovak, we have Mikuláš, Hungarian we use Miklós, Belarusian is Mikalai, Ukranian we say Mykola (Микола). In Russian though, we change it to an N and say Nokolay. Then, just be-be a little more confusing, the Greek use the name Nikolaos. Follow this name next door to Germany and you’ll get Nickolaus, onwards to England and you see good ol’ Nicholas*. *may or may not be related to Santa. While Greece, Germany, and England aren’t Slavic countries, it’s easy to see how one name adapts into certain regional dialects. It’s worth noting though that Mikołaj isn’t a Polish name. It’s rather a Greek name which means ‘victory of the people’ and stems from the word ‘Nike’. No, not the shoes, but rather Nike, the Greek god of Victory. But there came a time, around the time of the Baptism of Poland, where popular Slavic names were all but banned. During the Council of Trent (1545-1563), the Catholic church forbade the use of Slavic names in any country living under God. A few names god around this rule (Kazimierz, Stanisław) as they were the names of Slavic saints. In a typical Polish ‘you won’t get the best of me’ fashion, Poles bought back Slavic names while the country simply didn’t exist. After the country was cut up and given to its neighbours during the third partition of Poland, old Slavic names started to make a comeback. Fun Fact: You may have noticed that all Polish girl names end in ‘A’. Agnieszka, Basia, Klaudia, Dominika. This is partly due to the Polish language itself – Female names are feminine, like lampa, mapa, and książka. If you think you can handle Grzmisława and Jacek, wait till you see some common Polish surnames. Like the language itself, names don’t escape the beauty and complexity of Polish Phonology. Every Polish surname seems to have its own backstory. It’s bathed in the glory of a famous priest, or some kind of hero or saviour. That’s one of the amazing things about names from this part of the world! Cognominal – based on a ‘nickname’ or a name given to someone with a certain job, habit or physical description. Kowalski, for example, comes from the word Kowal, which translates to blacksmith. ‘Dzień dobry, Kowalski’, said Pawelł on his way to marketing in the morning’. Patronymic – these are Polish surnames that are stemmed from a first name and usually finish with a suffix, implying a family relation. For example, Staszczyk comes from the male name Stanisław. 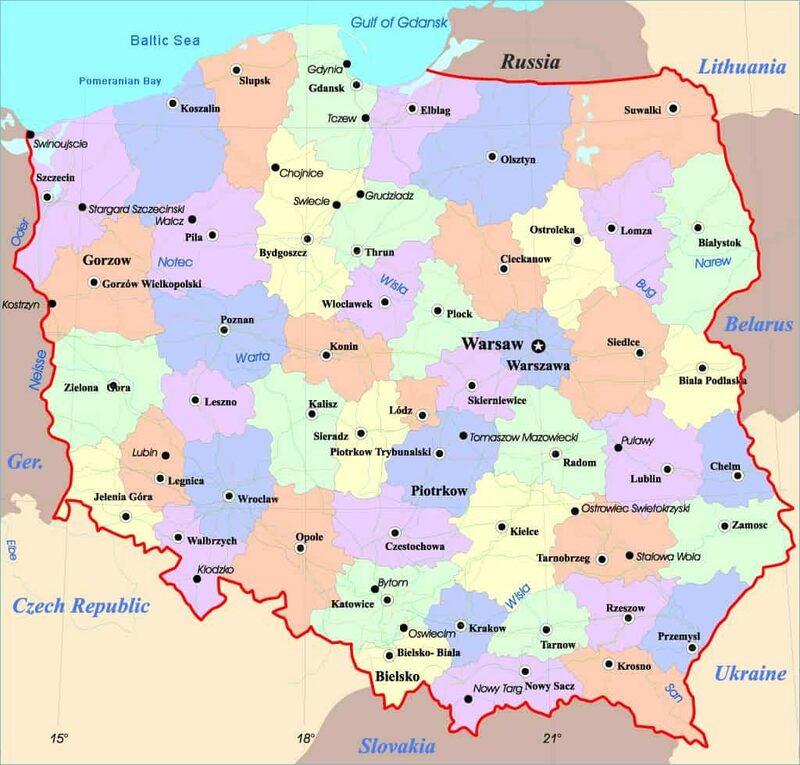 Toponymic – the suffix ‘topo’ is Latin for map or location (topography), so these are Polish surnames derived from a town or city. For example, The name Lewandowski means ‘of Lewandow’, with Lewandow being a region near Warsaw. Follow the town name back a little further and you’ll get ‘Lavender tree’. Fun Fact: So many Polish Surnames end in -ski or -ska as that suffix was traditionally used to define affiliation with something. Warszawski means ‘…of Warsaw’. Now you know how Polish family names are created, let’s take a look at some of the most frequently Polish Family names! Smith, Jones, and Thompson are some pretty popular English surnames. What are some of the more common Polish Surnames? According to the Główny Urząd Statystyczny or Central statistical office, these are some of the most common Polish last names being used today. It’s also worth noting that there’s a difference between popular and common! Check out the way to pronounce each name if you’re not familiar with Polish sounds. There’s no need to learn Polish just to address your Polish co worker. Keep in mind that these are just rough – pronounce it the way that it’s written, and that should be enough to impress your Polish friends. Kozłowski – (Kos-wov-ski) from Kozłów or kozioł or goat. Zieliński – (Zhe-lin-ski) from zielony or green. Wojciechowski – (Voy-cheh-hov-ski) from the name Wojciech. One unusual thing about these names is that the wife of a married couple will often have a slightly different surname to that of her husband. As mentioned earlier, this is due to the Polish language itself, with feminine words usually ending in ‘a’. Robert Lewandowski and his wife, Ania Lewandowska. Same family name, different ending. Polish women are known for their…well, everything. Bożena – God, from God. As a native English speaker, it’s not too difficult to see these names and pick the English equivalents. In most situations, the English versions replace the ‘y’ as an ‘i’ or even remove the ‘j’ completely. Polish boy names also ‘translate’ into English quite easily. My name, for example, Phillip, simply has the ‘ph’ sound replaced by an ‘F’. (Which, in my honest opinion, has always been easier). What I find interesting is the name ‘Kamil’, as I can’t seem to find an English equivalent. One thing that I personally love about Polish names is the fact that each one seems to have a name. As you saw in this article, a name can be a result of an ancestors occupation, where they came from, or even just another way of saying ‘god’. Names and last names in Poland are complex and difficult to pronounce. But like most things in Polish culture, once you know a little more about it, it’s got a beautiful story all to its own. Are you Polish? What does your surname mean? What’s one of the most interesting Polish names that you’ve ever come across? Filmanski – Filmansky – my late husband tried to research this but never got an answer. If someone knows anything about this last name please let me know. My birth last name was Covaleski but was told the original spelling was Kowalewski. It was changed after my ancestors came to USA from Poland. Couple of our family names are: Tomaszewski, Szymanski, Lipinski, and Kanieski. Does anyone know what Gofron would mean? Lewandowski is actually the surname given to a particular knight who went to the Holy Land – the Levant – during the Crusades. City-derived surnames: Warszawski, Poznanski, Krakowski, etc. are more than likely Jewish, as are surnames such as Nowak & Przybylo…. My maiden name is Sosinski. Supposedly from Pine Tree? Sosna? Maiden last name is Sumkowski; married last name is Strzyzewski. What part of Poland did these names come from? My parents’ surnames don’t fit any of these categories. Dad’s family name is Kurgan, and Mom’s family is Mnich. My four grandparents came from Kielce and Radom. Where or what does Oldakowski come from? Maiden name is Grzechowiak, I would love to learn a little more information about it ! Camille is known as a girls name here, Camilla, its Camillus normally, via Latin. Anyone know the surname Jaczszyn? It’s from the part of Poland Ukraine took. It was the name of a family friend. Complak. No idea what it means, everyone in Poland pronounces it wrong.